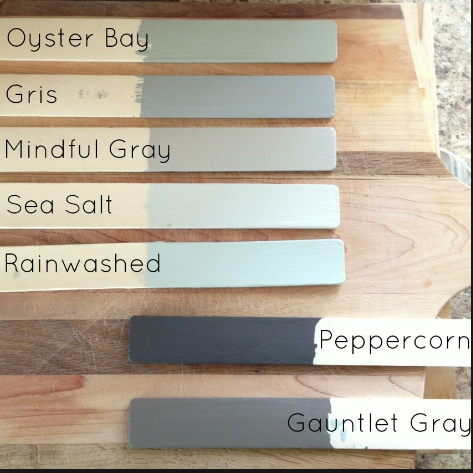 Monday: You go to the paint store and pull 2 or 3 color chips. As you are walking toward the exit door, proudly admiring your selections, the colors start to change before your very eyes. “Wow, that’s not what I want”. You return to the paint kiosk to pick 2 or 3 additional chips and within a few minutes you have collected 20 color samples. You go home and start taping the samples to your walls. They all look wrong; too dark, too green, too bright, too pink. Tuesday: You return to the store to start again… an additional 20 color chips; same problem. Same end result. Your confidence level is falling. The colors are playing games with your mind. You feel lost, unstable. Wednesday: Next step. You decide to purchase a few of those handy small sample tester paint containers provided by your local paint store, ostensibly to make your life easier. You paint 8” x 8” samples on this wall, and on that wall, in that corner over there by the window as well as down the hall. Within an hour your house is swathed in a football field size patchwork quilt. Total confusion envelopes you now and the family is arriving next week. You’re starting to twitch. Thurs: Finally, you settle on a color while sipping your coffee that morning. The plan is to start tomorrow. Evening rolls around and your favorite color has shifted into a shade you can’t describe…. something between dragon vomit and dead salmon. Ugh! Friday: Now you’re asking your friends for help. Your marriage is at stake; your spouse is ready to walk out after the 10th conversation that begins with “honey, what do you think of this one”? 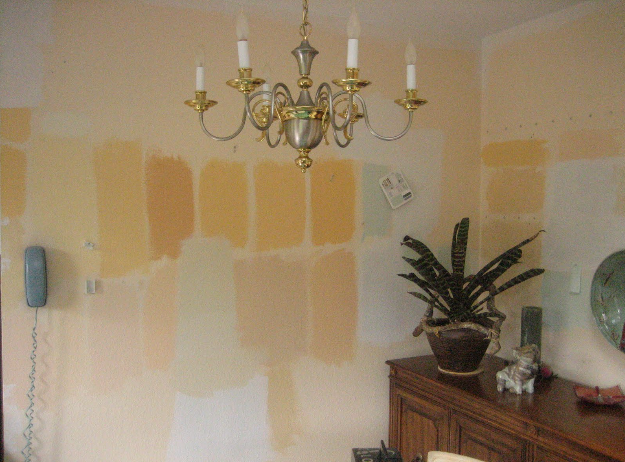 Painting samples on an existing wall WILL create havoc. Your mind will compare the new samples to the existing wall color and all colors will look wrong. Painting samples on sample boards that can be moved to various locations will have a similar result. All will look wrong because the influence of the existing background color is too strong. Best practice: Select a wall that is bathed in light but without direct sun because colors are most “true” or realistic in shaded areas. (Professional photographers suggest that the most successful color photos are taken on cloudy days over sunny days). Paint a rather large area in a true white, like a ceiling white. Use this area as the canvas upon which to paint your samples. All your samples will be in one area to view morning, noon and night. It is important to enjoy your selections at all phases of the 24-hour period. 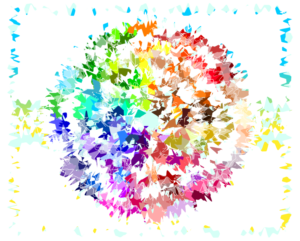 Metamorization, a big fancy, shmancy word, is a term to describe how colors change when exposed to changing light sources. A color will appear differently in day-light, florescent light and incandescent light. We all have experienced this; we’ve gotten dressed, everything coordinates well at home. Upon arriving at work you’re wondering why everyone is looking at you strangely. How did you come up with that outfit of varying colors? You are not certifiable or color blind. You don’t need medication. The scientific community has an actual technical term for the color shift which confirms that the phenomenon is real. You are not alone with your experience. Selecting paint colors (as well as all home furnishings) can be similar to selecting apparel colors…. You are, after all, dressing your house. If you lean toward neutral colors for your clothing choices, often your taste will follow with your paint color choices. Bright accents for clothing? Bright accent wall colors in your house too. Follow your gut. Surround yourself with colors that bring joy to your spirit. Use your clothing as inspiration, however… be careful…. unless you are very confident with color and not intimidated with dramatic effect, you might tone down the bright colors a bit so they are not too intense. Choose a shade or two greyer/duller which could increase longevity. Color is subjective. If you grow tired of it, paint colors can be changed relatively inexpensively. Please take note, too, of external sources that can influence successful color selections. A neighboring yellow house will reflect and cast a yellow tint; a blue house will reflect blue. It’s not your imagination playing tricks; it’s real. For large open floor plans, consider one color for all walls. 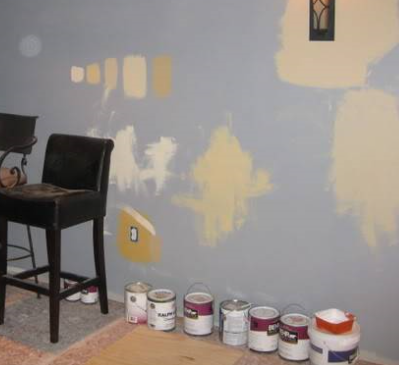 When changing to another color on adjoining walls it’s best to find an easy transition point. A wall with a rounded corner will invariably create a transition line from color A to color B that is wavy or crooked and will ultimately be unsuccessful. Just as it is nice to unify the floor as best you can, keep wall colors simple. 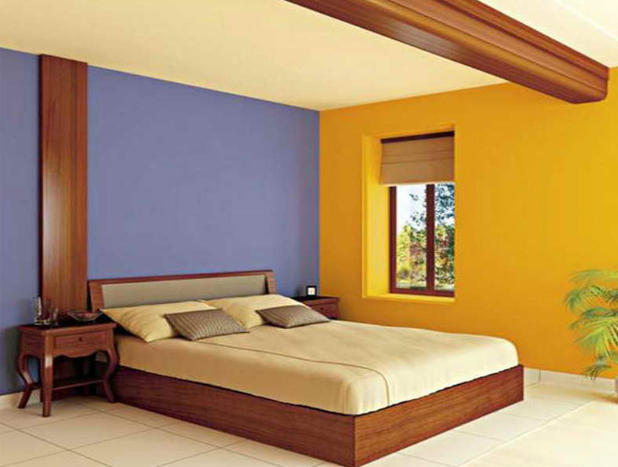 You might find that you will be happiest to limit the number of color transitions from room to room. The result should be soothing and comfortable to YOU. Another thought is to select colors which are tonal shades of one another. That kind of transition can be very pleasant. As always, we at SandStar Interiors are happy to help you with all your Interiors needs including COLOR. Please call 941-205-2957 or email Olena at olenat@sandstarhomes.com for a consultation on paint, wallcoverings, draperies, rugs and all home furnishings.